Believe in the magic of miracles. Visit Teri’s website to start YOUR healing journey! Welcome to The Healing Place Podcast! I am your host, Teri Wellbrock. You can listen in on iTunes, Blubrry, Spotify, or directly on my website at www.teriwellbrock.com/podcasts/. You can also watch our insightful interview on YouTube. I am ever so grateful for the opportunity to sit down with Ingrid Cockhren, ACEs Connection Midwest Regional Community Facilitator, and Sue Fort White, Executive Director of Our Kids, Inc. Thank you, Ingrid and Sue, for the incredible work you are both doing to help create a more trauma-informed world and helping those who are on the healing journey. For more than 30 years, Sue Fort White has mobilized resources for underserved populations, including victims of domestic violence, teens and families in crisis, children in foster care and families affected by child sexual abuse. Sue’s work at Our Kids starting in 2006 was a natural progression of her deep commitment to social justice and her desire to connect children and families with the services they need. 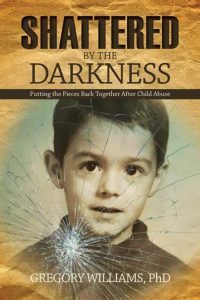 As a survivor of childhood sexual abuse, Ingrid Cockhren knows first-hand how impactful trauma and toxic stress can be on children, families and communities. 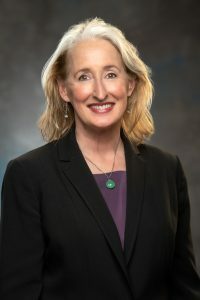 Subsequently, she has dedicated her professional life to investigating and educating the public about the link between early trauma, early adversity, Adverse Childhood experiences (ACEs) and possible negative outcomes across the lifespan. Mrs. Cockhren graduated from Tennessee State University with a B.S. in Psychology and from Vanderbilt University’s Peabody College with a M.Ed. in Child Studies specializing in early interventions for children from minority and low-income families. Her research areas are African American parenting styles, Adverse Childhood Experiences, historical trauma and intergenerational transmission, brain development, developmental psychology and epigenetics. 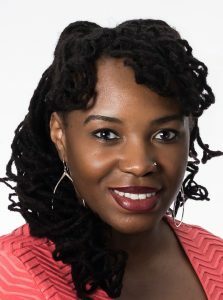 She is currently an adjunct professor specializing in developmental psychology at Tennessee State University and the TN & Midwest Regional Community Facilitator for ACEs Connection. moderator of The State of the Black Woman-Nashville. Ingrid’s experience and affiliations also include Metro Nashville’s Public Schools, Tennessee’s Dept. of Children’s Services, Tennessee’s Office of Child Safety, Meharry, Vanderbilt University’s Peabody Research Institute & Special Education Dept. and Youth Villages, Inc.
Ingrid Cockhren is a Clarksville, TN native who currently resides in Nashville, TN with husband Jurnell Cockhren, founder of Civic Hacker, a software development consulting agency. Ingrid loves painting, cooking and spending time with daughter Yves. Find out more about these amazing women and their inspirational work at whatifitoldyou.com, ourkidscenter.com, and acesconnection.com. What an absolute joy it was to chat “across the pond” with the beautiful, hilarious, and inspirational Jaz Ampaw-Farr. From her TEDx talk to her international motivational presentations, she is empowering others along their healing journeys. Thank you, Jaz for helping leave this world a better place – from your Tampax donation in the school bathroom to your work in prisons to your ability to make us laugh – your enthusiasm is contagious. I encourage you to grab your tissues and watch her 11 minute TEDx talk. I promise it will be worth it! “It would be easy to say, you’ve never met anyone like Jaz before. Her passion for the potential we can uncover in ourselves when we are just 2% braver and her insight into how to remove the barriers that hinder connection between us and those we seek to influence make Jaz one of those people you will never forget. Jaz’s story is one of growing up in the midst of most appalling abuse, poverty and hardship during which she encountered five adults (and, importantly, one pimp) whose belief in her literally saved her life. She shares her fantastic journey of how saying yes first allowed her to progress from council estate and foster care to advising international governments on education policy. 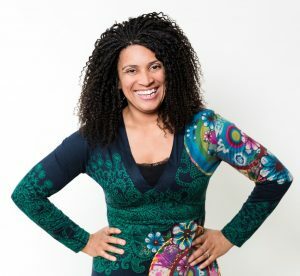 There are many messages leaders take away from listening to Jaz deliver keynotes across the UK, in the US (where she’s being called ‘The British Oprah’!) and elsewhere. Clearly, the impact that we have to connect and transform lives comes through loud and clear but there is more to it than just that. subject to the worst depravities of her fellow humans and not only survive, but thrive – and do so without anger or bitterness. Her book is currently available for pre-order in the U.K. on Amazon and will be released May 31, 2019. Welcome to The Healing Place Podcast! I am your host, Teri Wellbrock. You can listen in on iTunes, Blubrry or directly on my website at www.teriwellbrock.com/podcasts/. You can also watch our insightful interview on YouTube. And I am excited to announce that you can now listen in to my hope-filled conversations with amazing guests on Spotify! Thank you for listening in on this thought-provoking conversation with Karen Zilberstein, discussing her philosophies and work in the parenting arena. Thank you, Karen, for helping shine the light of hope into the lives of those who might be struggling in their parenting roles due to additional pressures and lack of resources. 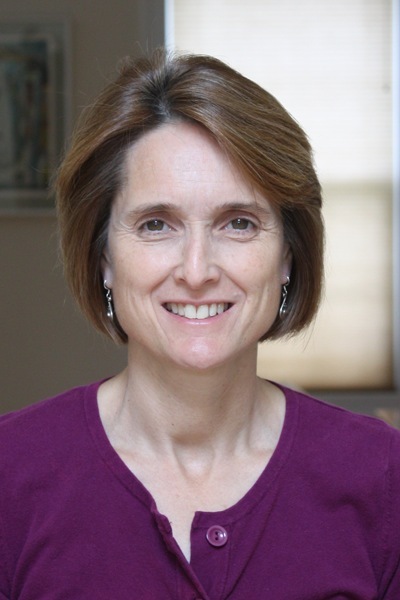 Bio: “Karen Zilberstein, LICSW, is a practicing psychotherapist and Clinical Director of the Northampton, MA chapter of A Home Within, a national nonprofit that provides pro bono psychotherapy for individuals who have experienced foster care. 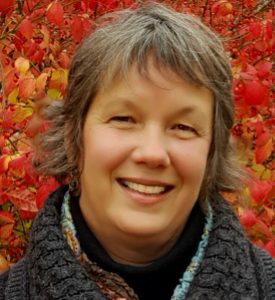 She has co-authored a children’s book entitled Calming Stormy Feelings: A Child’s Introduction to Psychotherapy and published numerous journal articles on child therapy, parenting interventions, the treatment of foster and adopted children, and the clinical implications of attachment and complex trauma in children. 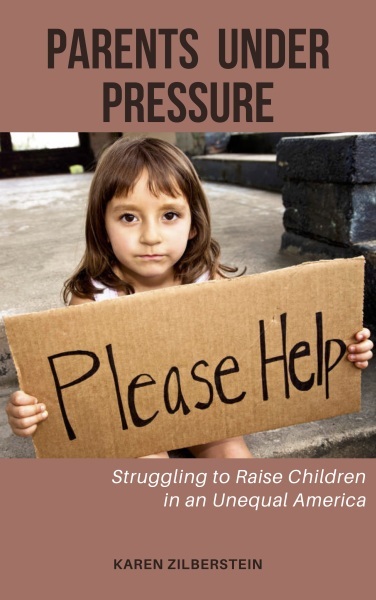 In her latest book, Parents Under Pressure: Struggling to Raise Children in an Unequal America (Levellers Press, March 2019), she provides a candid look at how parents contending with poverty, trauma, disability, or other constraints are expected to do so much with so little—and the price they and society pay.” Find out more about Karen’s inspirational work at https://karenzilberstein.info/. Welcome to The Healing Place Podcast! I am your host, Teri Wellbrock. You can listen in on iTunes, Blubrry or directly on my website at www.teriwellbrock.com/podcasts/. You can also watch our insightful interview on YouTube. 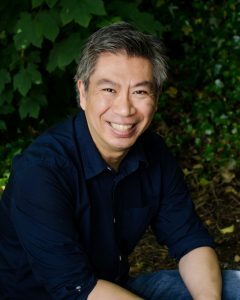 What a deeply engaging yet fun-filled conversation I enjoyed with Jason Lee, discussing his personal triumphs and passion to help others, particularly men, along their healing journey from anger to tranquility. Thank you, Jason, for sharing your inspirational mission and shining the light of hope. “Jason Lee is an author based out of Coquitlam BC. 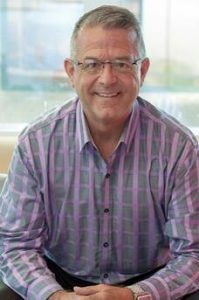 He’s also a mental health advocate and speaker at events across Canada. 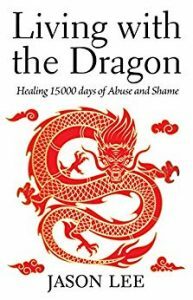 His book Living with the Dragon, Healing 15000 Days of Abuse and Shame has received praise from counselors and comes highly recommended as a resource particularly for men in recovery from depression, anxiety and anger stemmed from childhood abuse trauma and trauma. He’s also the host of the Mangry Podcast which aims to redefine how men manage their anger. The Mangry Podcast is on iTunes and Spotify. Jason believes that everyone has a story to share and it’s a matter of finding that delicate space of trust and compassion to do that in. 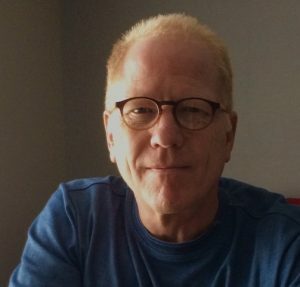 He found his voice through speaking, writing, podcasting and blogging, connecting people through inspirational words and ideas. Jason enjoys basketball, exercising, camping, board games and spending time with his son. Find out more about Jason’s inspirational work at https://imjustjason.com/. P.S. 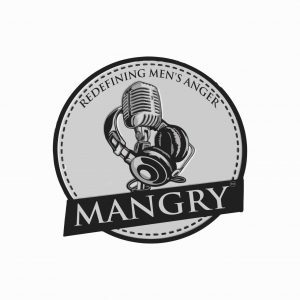 After we recorded our interview, Jason created his own podcast, Mangry: Redefining Men’s Anger. Be sure to check it out on Spotify and iTunes! 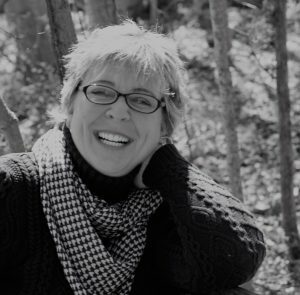 I thoroughly enjoyed this beautiful conversation with Suzie Gruber regarding the utilization of NARM (Neuroaffective Relational Model) and Somatic Experiencing, both non-intrusive approaches to healing traumatic events and ACEs (adverse childhood experiences), her personal history with these approaches on both personal and professional levels, along with some joyous laughter throughout. Bio: Suzie Gruber, M.A., SEP., holds advanced degrees in chemistry & psychology. She spent 15 years in biotechnology before returning to her first love: inspiring people to transform their lives. 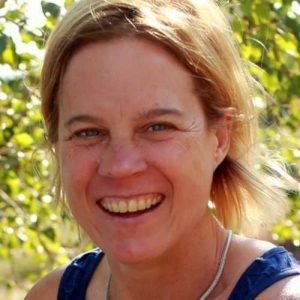 A Somatic Experiencing and a Neuroaffective Relational Model (NARM) Practitioner in private practice in Ashland, OR Suzie also leads seminars that teach people about complex trauma and the imprints it leaves behind. Additionally, Suzie is the Research Director for the NARM Training Institute and assists NARM practitioner trainings. “My deepest passion lies in helping you improve your life today. You have an innate drive towards connection, aliveness, and success, a primal urge that gives you the strength and courage to change, regardless of what you face along the way. I’m here to help you do that. I came to this place in a kind of circuitous way. After earning undergraduate and graduate degree in Chemistry (Harvey Mudd College and then Princeton University), I spent 15 years in the biotechnology industry working in Operations for start-up companies. Although I was quite successful in my career and I enjoyed the never ending, high energy challenges of start-ups, my first career never quite fit the deeper me. I had to honor my own primal urge to do what I love, help you come alive. 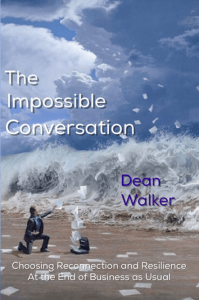 Join me in this deep and thought-provoking conversation with Dean Walker about his upcoming book/workbook release (coming spring, 2019), his mission, philosophies, and more! “Welcome to our Living Resilience website. Founded by renowned author, speaker and life coach, Carolyn Baker and author, resilience coach and transformational training designer, Dean Walker – Living Resilience is an alliance of authors, journalists, health professionals, concerned global citizens, scientists and artists. The book, released last year, The Impossible Conversation: choosing reconnection and resilience at the end of Business as Usual. A new batch of online support content, self-paced on demand courses, resilience coaching for individuals, families and organizations, online focused advanced practices. Safe Circle: An online, free support group that meets on the 1st, 3rd and 5th Tuesday of every month, sign up for the Zoom video call invitations on the website, www.LivingResilience.net. Lastly, and by far the largest project at the moment, a new book and workbook combination, due out early in 2019. 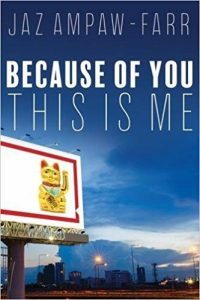 These two books are intended to be far more practical for the person who is grappling with finding meaning, purpose and reclaiming agency and right-relationship – in a post-truth, predicament-laden world. 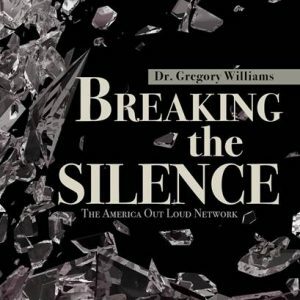 I was honored to have Dr. Greg Williams join me for a powerful conversation about his upcoming book release “Shattered by the Darkness: Putting the Pieces Back Together After Child Abuse”, his mission, personal story of triumph, and more! Welcome to The Healing Place Podcast! I’m your host, Teri Wellbrock. You can listen in on iTunes, Blubrry or directly on my website at www.teriwellbrock.com/podcasts/. You can also watch our interview on YouTube. I enjoyed this beautiful conversation with Jessie Graham on her work with clients, teachers, and students utilizing her co-creating change philosophies and techniques. I was excited to have Anna Runkle, the Crappy Childhood Fairy, join me for a deep and powerful conversation about her Crappy Childhood Fairy mission, courses, philosophies, and more! Anna Runkle is a video producer, speaker and writer, and is the author of the blog Crappy Childhood Fairy, where she cartoons and writes about her own childhood, growing up in a hippie family that struggled with alcohol, drugs, violence and poverty. In the blog, Anna writes essays — with her characteristic tough love humor — about the challenges faced by many people with high ACE scores. 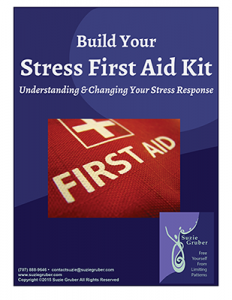 In the blog and in her online course, Healing Childhood PTSD, she teaches simple techniques that she’s used to overcome the nervous system dysregulation that so often accompanies Childhood PTSD. She’s currently working on a new online course, Dating and Relationships for People with Childhood PTSD, to be released during the holidays. When she’s not blogging, she produces marketing and training videos for healthcare and business clients at her company Click to Play Media. She lives with her husband and two teenage sons in Berkeley, California. You can find out more information by visiting https://crappychildhoodfairy.com/. Thanks for listening in to this inspirational conversation! You can also watch our interview on YouTube. So exciting!